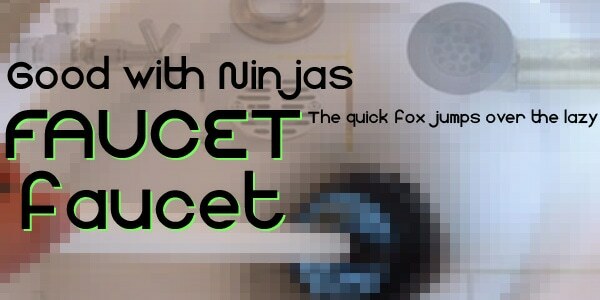 Faucet is defined by a subtle tech vibe and digital atmosphere. It demonstrates a proper use of basic geometric shapes and spacing between characters. Unfortunately, the font works only with Romance languages. Nevertheless, it comprises digits and a broad range of symbols for syntax. Use it to bring titles into focus. and a standard TTF format. Geometry Soft skillfully avoids a sharp angular look inherent to majority geometric typefaces by opting in favor of smooth and sleek forms. 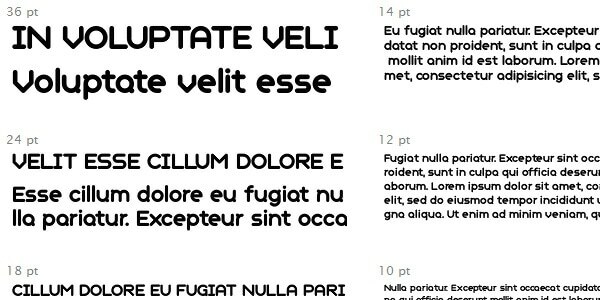 It works great in bold option and has all the glyphs to write in different European languages. Comes with OpenType variants such as ligatures and small caps, stylistic alternates and an extended set, it can be used for displaying headings and copy with ease. Digital Serial demonstrates a high level of subtlety and refinement. 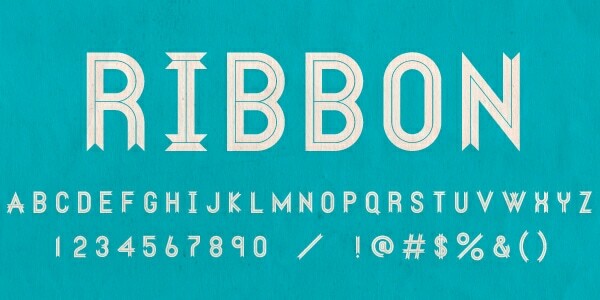 It features tidy and elegant letterforms that are presented in seven styles. Since only the demo version is available free of charge, here you won’t find lots of glyphs. There are just essential ones that let you reveal a potential of the family. 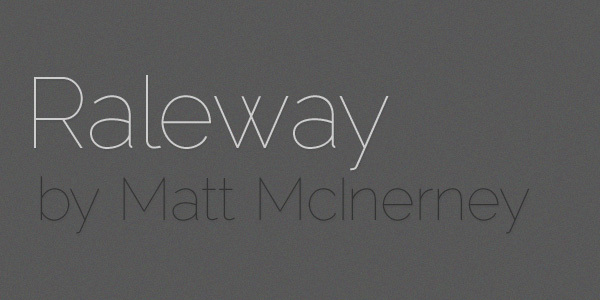 Michroma by Vernon Adams falls into the category of display fonts with a distinctive high-tech vibe and serene businesslike image. 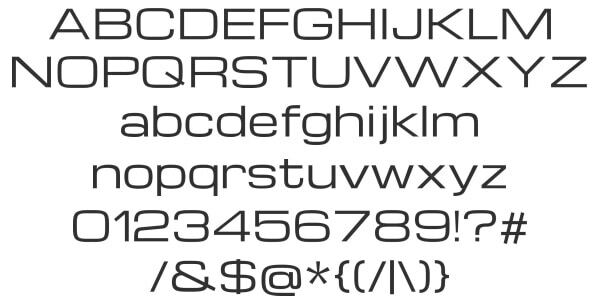 Although it is delivered only in one style, Regular, yet, it comprises 460 glyphs and an alternate set of characters in uppercase and lowercase- and that is quite impressive for the freemium product. 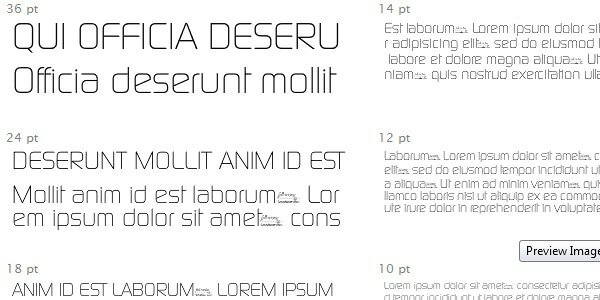 The typeface can be used for languages based on the Latin alphabet. and a handful of punctuation marks such as curly brackets or exclamation mark. Although it comes in one thin weight, yet this is quite sufficient to turn it to your advantage. Although geometric sans-serif typefaces are constructed from regular shapes, however, they do not look sharp or angular or plain at all. On the contrary, they boast of an elegant, soft, chic and in some cases even fancy intricate appearance. This category is quite universal and rich. There are fonts with the high-tech vibe, feminine nature or artistic feel that always stay clean and tidy. Numerous projects are able to reap benefits from it.